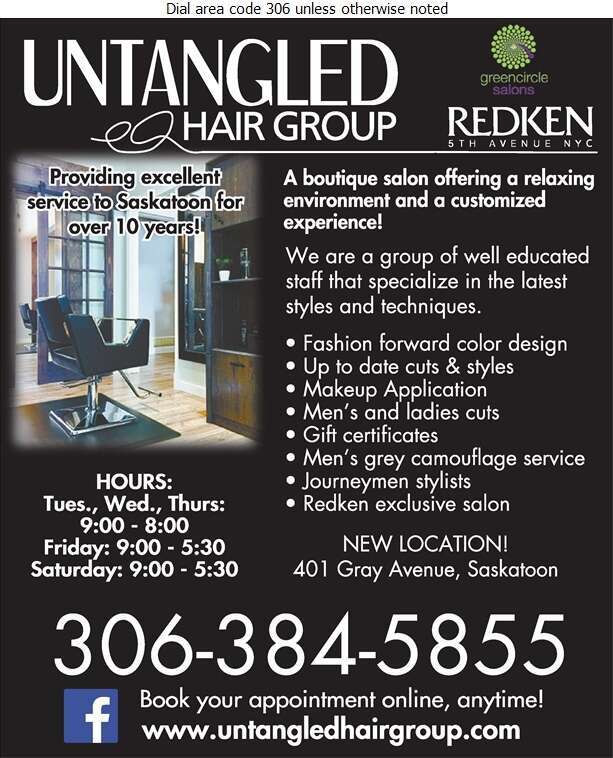 Untangled Hair Group Inc. is a Redken Exclusive Salon with a full team of journeyperson stylists, who take pride in their expertise and customer care. Our team is constantly expanding their knowledge and skills through Redken education, learning valuable techniques and the newest science behind hair color. Come in and meet our friendly staff, enjoy a specialty coffee, and relax in our warm and inviting environment. We are now licensed to serve alcoholic beverages. We are conveniently located in Sutherland on the East side of Saskatoon. Call Untangled Hair Group today or book your appointment online. Walk-ins are always welcome.